Good day all! Today I have a special review of Age of Sigmar Skirmish, the brand new supplement or even stand alone game from Games Workshop. 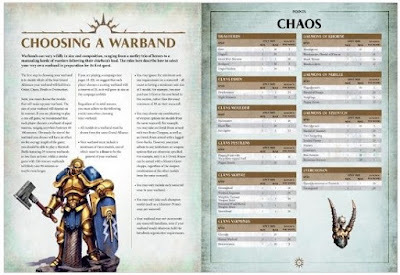 I have been excited for this for quite some time now, at the end of March a group of us were lucky enough to go up to Warhammer World HQ and playtest the rules and experiment with integrating it into other forms of Narrative play. 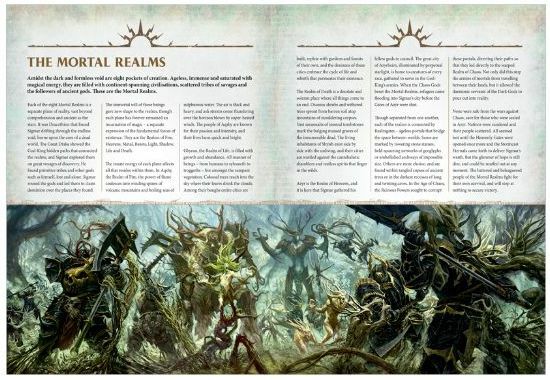 So what is Age of Sigmar Skirmish? 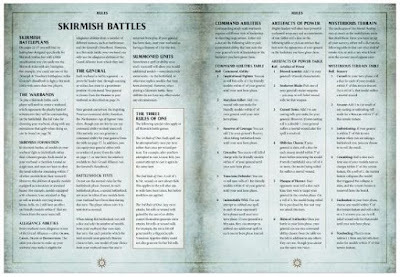 Skirmish allows you to use you AoS models and play out small scale (street level) battles, it uses the AoS ruleset but changes a few key parts so you are able to field models which normally belong in units seperately. 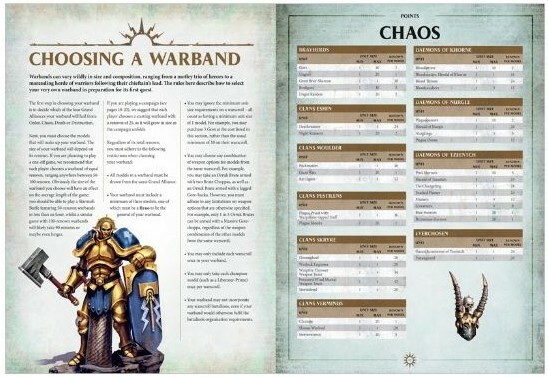 The supplement contains a full campaign set in the City of Shadespire in the Realm of Death, it also contains new a new model pointing system using Renown, this gives each model a cost level to fill you warband, along with this, you can also start customising your models and Heroes with new abilities and artefacts and as the campaign progresses, your warband will become larger and more powerful. The supplement comes with 6 new battle plans which like the Generals Handbook can be used in Matched Play. But more significantly for us NEOs, they can be played in order as a campaign, great for club nights or even in its on event, you will find yourself Treasure Hunting, Capturing Relics, fighting for control etc. Each battle plans tells a different story of the City of Shadespire. Of course being a Skirmish sized game there are restrictions on what you can take, nothing with a Monster keyword is included in the renown points allocation, there is also no points for Compendium war scrolls, but if you really want to use these such things in your own battles, you can work out the rough cost of such models. Rules changes for spells are also present and a few things like Command Abilities and Artefacts have changed. All of this makes gameplay better though and of all the games I have played I have not seen anything that really breaks the system. One of the beauties of this system though is that you do not need to stick to the 6 battle plans in the supplement. Any battle plan from any GW book would work. We played a few battle plans from other books and other elements and there were no issues in fact it fit perfectly. 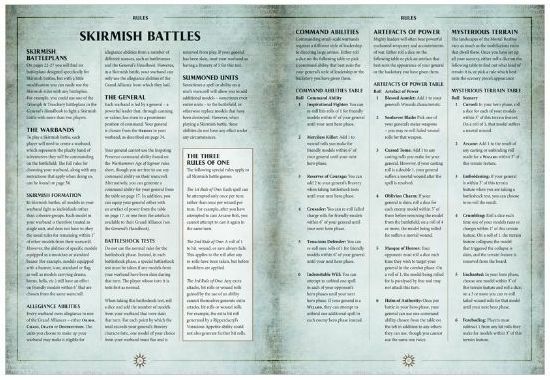 Personally, I am really looking forward to playing around more with the warband building and development of Skirmish and fitting the system into our Events in the future, the rule set makes for a great setting for Scouting missions, bar brawls or Street level insurgents (Think Mordheim). Along with the release comes new boxsets of models which gives you an instant warband. These include models for Stormcast, Bloodbound, Flesh Eater Courts and Ironjawz. 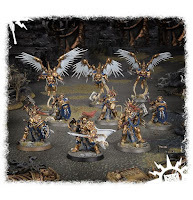 You can also get yourselves a new Shadespire 4x4 mat (great quality) and a new terrain box containing 2 Garden of Morr sets.. trust me for this game, the more terrain you have on the board the better. 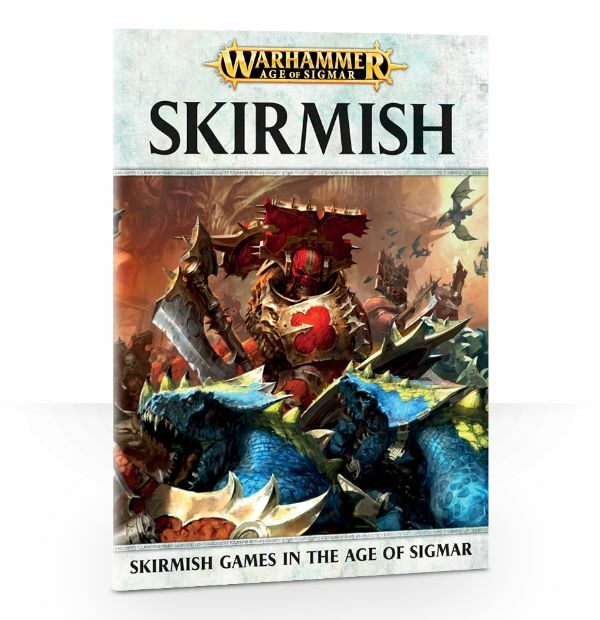 Of course, I don't want to give to much of it away so get yourself involved in Skirmish, the book retails at just £6, get playing some campaigns down your club and build your warband up and carry the warband on into normal AoS style games.. In the coming days and weeks, I will be detailing how we as a club will be using the Skirmish System to run our won campaigns with an event at the end of it. Hey looking forward to your coming articles :) don't suppose you know if dark elf corsairs are one of the options?